Do you need a decorative fence that provides a level of protection, but aren’t sure that wood or cast iron are for you? 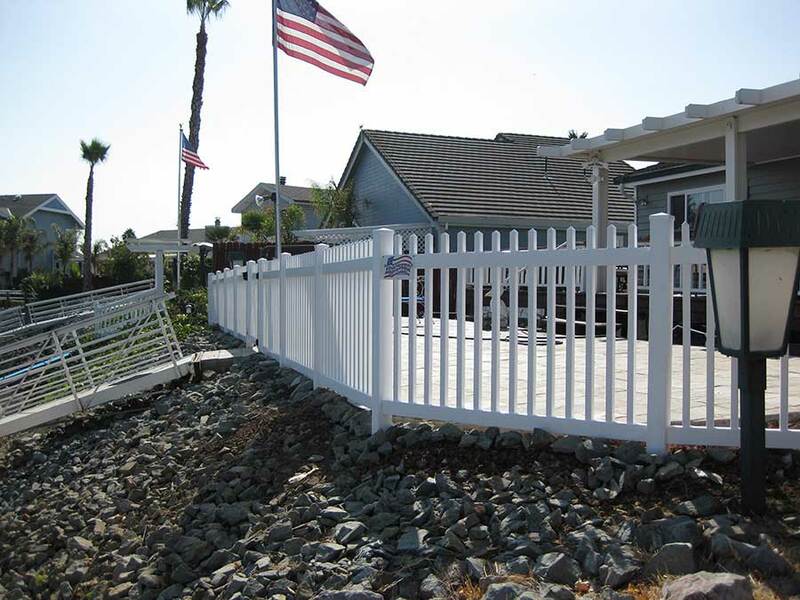 Vinyl fencing offers all-around benefits for a variety of situations, and has improved greatly in recent years. You’ll love the sturdiness of vinyl fencing – as well as the lack of required maintenance! At All American Fence, we pride ourselves on keeping our families and communities safe. That starts with using only materials that are non-toxic, chemical free and environmentally friendly for children and pets. We only use the best grade of vinyl fencing to ensure that it doesn’t fade or yellow and stays looking great for years. Speaking of children and pets, you’ll love that there are no sharp edges, splinters or nails that can be found in other types of fencing. 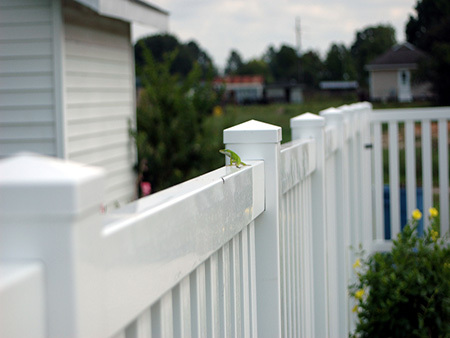 Vinyl is protective and safe for all types of usage in your yard or property. Termites will not snack on vinyl, it’s stronger than wood fencing and is even more flexible in the event of high winds. 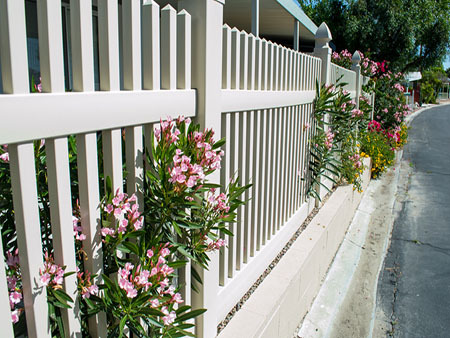 While other fencing materials may experience cracking or peeling, vinyl fences are virtually maintenance-free. Our creative designers will work with you to find exactly the right shade of vinyl and style that will complement your home’s architecture and landscaping. Vinyl comes in private, semi-private, picket and lattice designs, just to name a few. Keep it looking great for years with a quick rinse with water, or brighten it up with a gentle soap and water bath. Ready to get started designing your ideal vinyl fence?